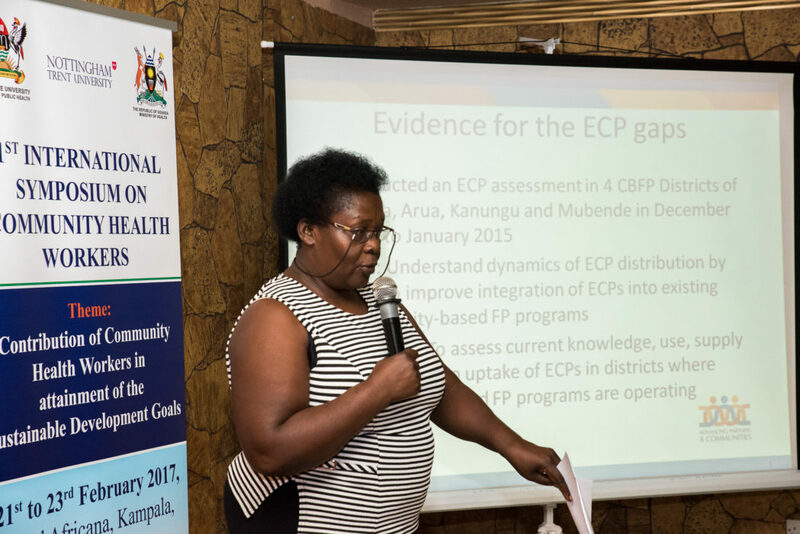 Beatrice Bainomugisha, Program Manager for WellShare International Uganda, presented on WellShare’s community-based family planning work at the International Symposium on the Contribution of Community Health Workers (CHWs) in Attainment of the Sustainable Development Goals (SDGs) in Kampala, Uganda. The symposium, organized by the School of Social Sciences at Nottingham Trent University, UK and the School of Public Health at Makerere University Uganda, in conjunction with the Ministry of Health in Uganda, was the first of its kind and an important step towards reaching the Sustainable Development Goals while placing CHW’s within a broader development context. 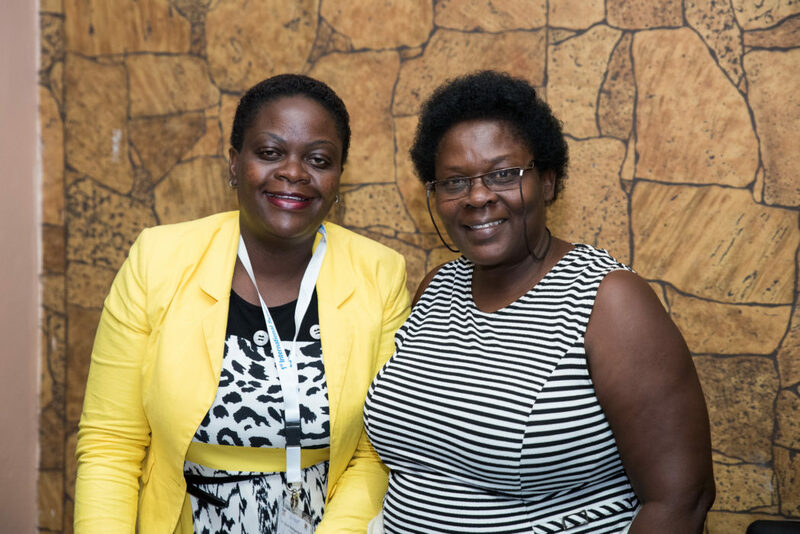 The 3-day symposium brought together over 450 policy makers, academics, practitioners, and civil society organizations in the health sector from over 20 countries and provided rich and engaging conversations on how CHWs contribute to the Sustainable Development Goals. Beatrice presented on the topics: “Cascading Training Model for Scaling Up Access to Community-based Family Planning Services through Village Health Teams (VHTs) in Iganga and Kumi Districts of Uganda” and “The Distribution of Emergency Contraception by Community Health Workers Through the Cascade Training Implementation Model”, the latter during a panel presentation with other implementing partners. Both presentations received a lot of interested from the audience. Thank you, Beatrice, for representing WellShare International at such an important event!